KIBERA SLUM – MARCH 31: In March of 2011, Kenya was hit by a condom shortage. Health authorities stated the shortage was due to high demand and made an emergency order of 45 million condoms. Many Kenyan's had already began re-using condoms by washing them after use and hanging them to dry. 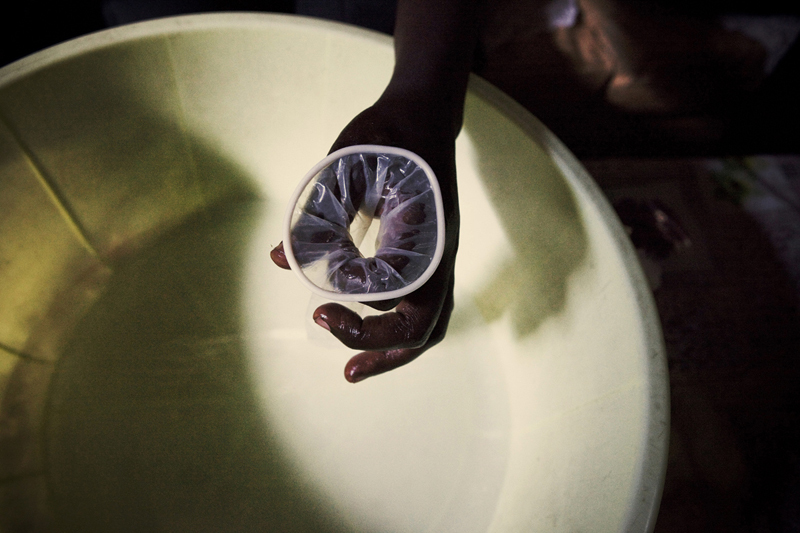 A woman in the slum of Kibera washes a used female condom in her house on March 31st, 2011.